The benefits of white and green roofs are nothing new to us, but a recent study by two top NYC universities has shed light on just how effective these non-traditional roofs can be at lowering building temperatures. Non-reflective dark roofs are known to exacerbate the urban heat island effect and do absolutely nothing to reduce storm water runoff, which is why New York City sewers overflow almost every time it rains. But a recent study released by Columbia University and City University of New York has found that greening NYC rooftops or adding a few coats of white paint can reduce temperatures by as much as 84%! Just think how much that could help you out on your electricity bill this summer. In order to ascertain the real benefits of greening or whitewashing city rooftops, researchers studied three different roof surface treatments at the Con Edison Learning Center in Queens: a green roof, a dark roof and a white roof. Measurements on each one showed that on average the white roof was about 30 degrees fahrenheit cooler than the dark roof, while the planted sedum roof was a whopping 60 degrees cooler! NYC is working towards applying white paint to one million square feet of rooftop a year in order to reduce those draining summertime highs, but city dwellers can do their part by taking the initiative as well. 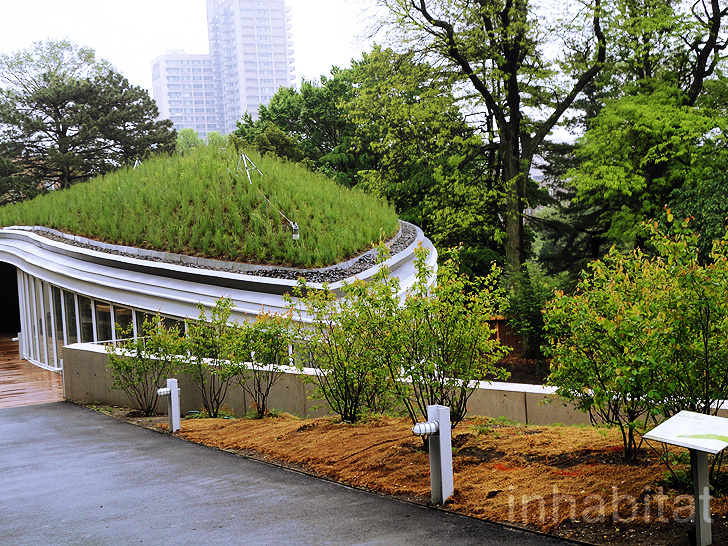 Green roofs, which cost about $15 per square foot according to the New York Times, are even better. Not only do they reduce temperatures, but they also promote better air quality by absorbing carbon emissions and capture storm water runoff. Furthermore, depending on the size of each individual roof and personal budgets, it’s possible to grow your own produce sans all the nasty chemicals and fertilizers that are coming under increasing scrutiny. When is the best time to green or whitewash your roof? Now! Before summer gets into full swing. You're only discussing half the problem--How do these roofs work in winter time?